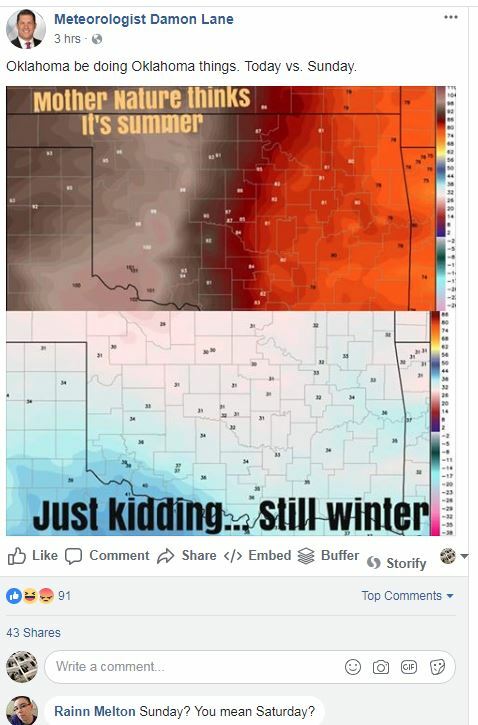 Oklahoma is a place of weather extremes and dysfunction, so I guess you can say we’ve had a typical-atypical start to the spring weather season. 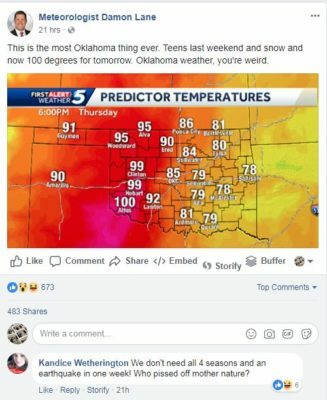 So far, the theme of Spring has been “Inconsistency.” We’ve dodged terrifying severe weather, but day-to-day temperatures and weather conditions have been rolling up and down like a yoyo – one day it will be cold and snowy, while the next will be hot and smokey. It seems to change daily, with the only constant factor being strong, blustery wind. 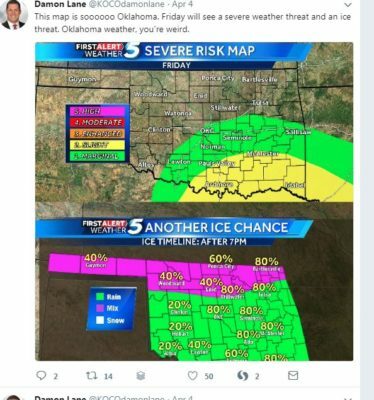 It’s like Mother Nature is scrolling through Oklahoma weather patterns on Netflix and can’t decide what she wants to watch. 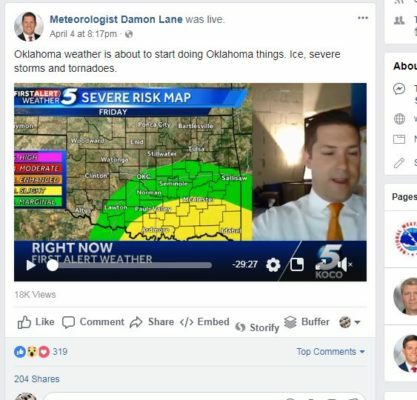 Damon Lane, Chief Weatherman for KOCO, has a name for this unusual weather pattern. 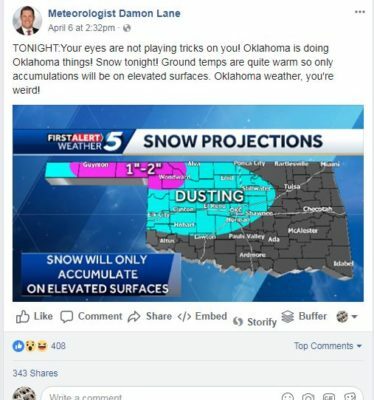 He calls it “Oklahoma Things.” Well, at least that’s what he calls it on Facebook. 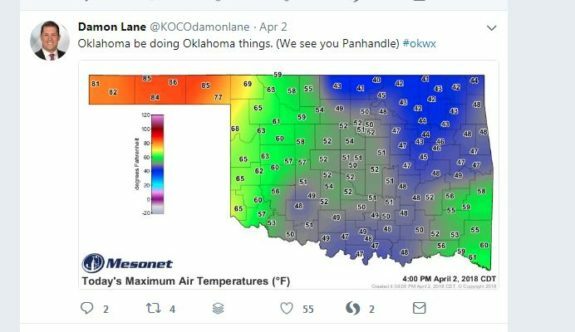 Check out this screenshot from April that an Ogle Mole sent to us. As a guy who’s written 4,000+ articles about Oklahoma news and culture, I know it can be challenging to come up with new crazy words to describe the same old things. It’s so easy and tempting to lazily regurgitate the old ones that worked. 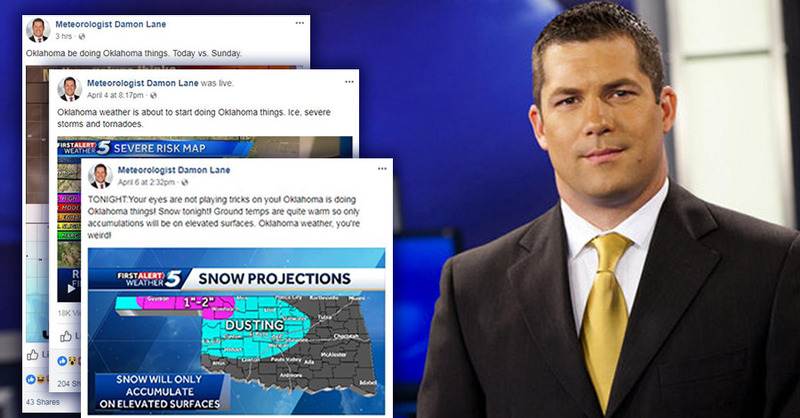 All OKC TV stations should be required to have at least one OGLE in their weather departments. Qualifications be dammed. His musings are lame, mundane. 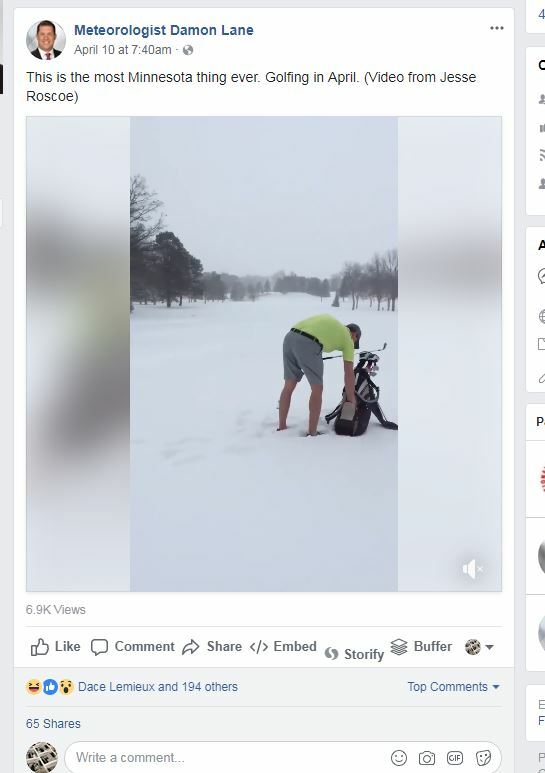 Need more OGLE’s in the weather dept. OKC TV stations should be required to hire OGLE’s in every dept., get OGLE or get gone. Oh, give the guy a break. He’s just having fun with what every dipstick at my office makes small talk with. Between this and the solar bombardment of late, we should be in for schizophrenic climate for quite a bit. Surprised they weren’t able to tie Trump to this some kind of way or ze Russianz.